The biggest secret for reaching your target market—provide educational content for your audience—was widely realized in 2009, utilized by many and then quickly overused. While millions of blog posts are published every day, you can still create an abundance of organic traffic for your business with content marketing, but you have to 1.) do it right—create quality content, incorporate an SEO strategy, make it beautiful—and 2.) distribute that content to your target market. Through years of experience and our commitment to remaining on the front lines of digital marketing, we have discovered several ways to reach target audiences—no matter how unreachable you think they are. Focused physicians? Yes. No-BS Engineers? Yes. Busy C-suite executives? Of course. Here we share some of our best tactics for reaching your most challenging audiences. But remember, your tactics will never succeed if your campaign messaging is not relevant and timely for your audience and your content is not helpful. And you still have to provide excellent customer service once you convert your audience, so you will want to explore options for conversations and ticketing, too. What follows are ways to distribute content that we have found successful for reaching hard-to-reach target markets. Below you will find five examples from real clients. Each came to Kuno insisting their audience was impossible to reach through digital marketing strategies. Here, we break down the company, audience and distribution strategy along with the thought process, tactics and results of our efforts. 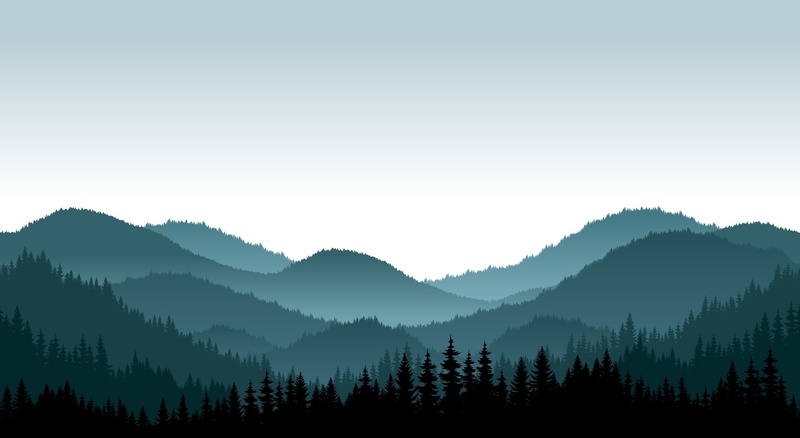 Executives from the mining and gas industries have typically only been reachable by large ad spends, but our team studied buyer behavior to meet decision makers where they were. For example, when a relevant UK law changed, our client’s target audience began searching to learn more about it. Through our interview process, we determined relevant search phrases. However, this search was not the right time to advertise products. Instead, we were able to tag them as a member of our target audience and, next time they visited YouTube, serve up a video or display ad for our solution. Video ad targeted those who searched for relevant information. This strategy allowed us to reach our audience for pennies on the dollar. The cost per click on search ads most often falls between $2-$6. These ads are finding success and costing just $.19 per click. Each month, YouTube generates more than 2,000 clicks from the tech company’s targeted audience, driving relevant traffic to their website. While YouTube alone isn’t a typical “last click” converter, it has assisted in 10 percent of conversions at various levels of the marketing funnel. Taking the campaign a step further with retargeting, we target those who engage with the YouTube ads when they later search for relevant products and services. Using this previously built audience with YouTube allows us to bid more for these opportunities, ensuring that we’ll be the first option on the Google Search Results Page for these prospects. Text ads focus on the exact product features prospects search for. Using a combination of YouTube and retargeting ads has increased our average monthly conversions from 70 to 105 (50%), while only increasing monthly spend 3 percent. Facebook—often overlooked by B2B organizations—offers a slew of demand generation targeting options. A less popular one is to target by interest in associations. But our team knew its power. Hemodialysis clinics are often run by busy physicians who don’t spend much time reading blogs. So we knew we needed to quickly grab their attention. 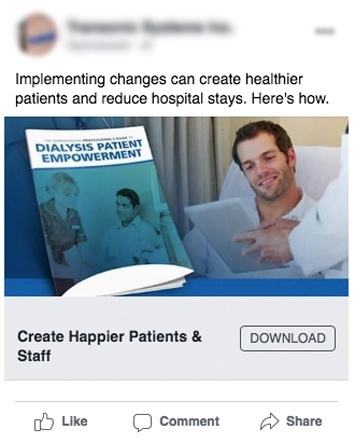 During a campaign for patient empowerment at hemodialysis clinics for one of our medical clients, we targeted nephrologists and dialysis nurses by job title and interest in the American Society of Nephrology. The ads focused on a major pain point clinics experience: When patients are not well, they cannot attend their appointments, so it's up to the clinics to educate and empower patients on how to stay healthy between appointments. Facebook ad focuses on audience’s pain point. The ads generated 238 submissions and 184 new contacts in just three months. Ungated Content for those Who Hate Forms! This target market required a lot of trial and error. From our interviews with engineers, we learned this group hated the idea of filling out a form. If they clicked on an ad and were taken to a landing page, they were more than likely to bounce. With this knowledge, we shifted our strategy. During interviews, we asked what engineers were interested in outside of work. Answers often mentioned technology. We used this information to create ungated blogs that piqued engineers’ interest but were also relevant to campaigns. 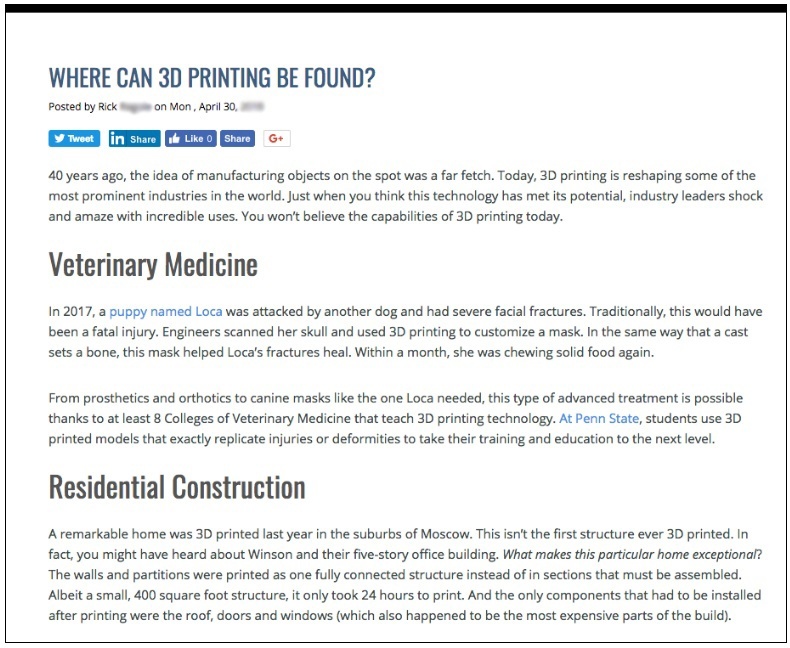 For example, an article about where 3D printing can be found—automobiles to Hollywood—included a call to action to a longer guide about rapid prototyping. The team also worked to provide straightforward content engineers could use as a reference and even print out and keep at their desks. The one-page guides included topics such as ampacity, chemical compatibility and cable jacket material comparisons. Because we knew engineers would not immediately convert, we offered these resources openly within blog posts. Each post then contained a call to action. Our most recent campaign led to an overmolding guide, which had a conversion rate of 45 percent—extremely high for this audience. This client, a large professional service provider, needed to get new contacts into its database, since their sales process often took years to complete. By converting members of the target audience, we could nurture them further through educational content, emails and targeted ads. At Kuno, the team knew it could get in front of more university executives for our client if we “borrowed” the audience of a respected industry association. 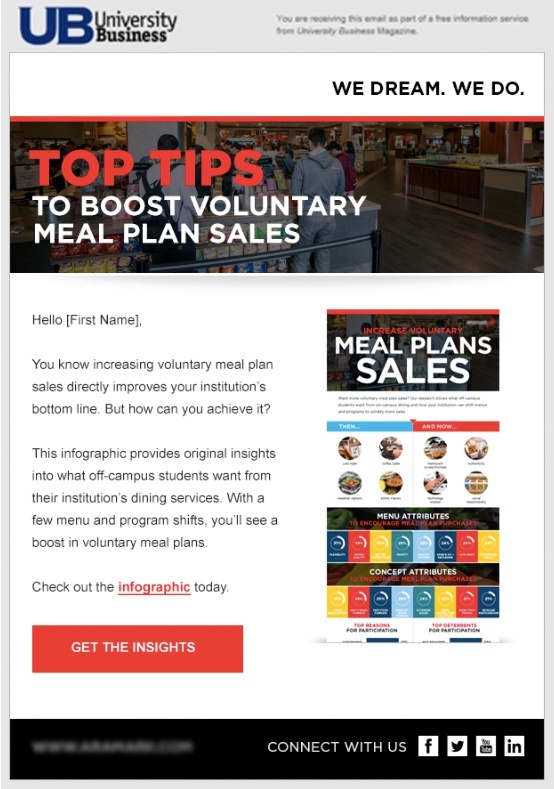 By investing with University Business, the organization sent an email featuring a custom, educational resource to a relevant and engaged audience of more than 45,000 higher ed executives. Our client garnered nearly 23,000 email opens and more than 1,200 clicks from new qualified contacts. And that was from just one email send. The approach has become a consistent tactic for reaching new audience members. Clinical research directors are meticulous and methodical in their role, so they are understandably cautious about signing contracts. Our client, a clinical research organization (CRO), provides independent monitoring, auditing, training and other services to help researchers comply with regulations and bring their devices to market faster. However, by sending clinical researchers useful, engaging resources over time, this CRO has been able to close deals faster. In one instance, the business development manager had a number of conversations with the VP of clinical affairs at a cardiovascular manufacturer who was interested in working with them, but they weren’t ready to commit yet. The business development manager stayed in touch and shared a number of resources about auditing, training and safety services. 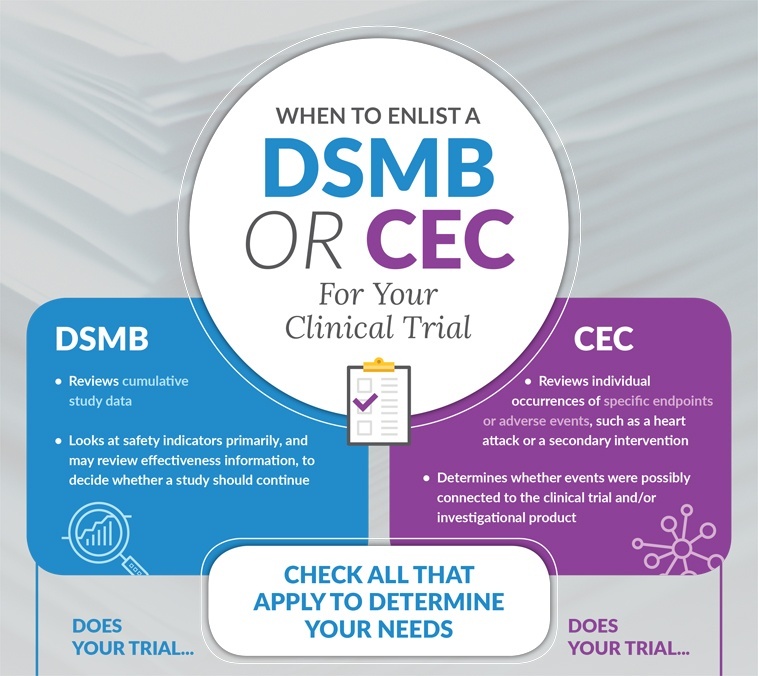 The VP opened more than a dozen emails and looked at resources like this infographic explaining the differences between a Data Safety Monitoring Board (DSMB) and a Clinical Events Committee (CEC). After 15 months of engaging with both the business development manager and the content, the VP ultimately decided to enlist the CRO for a number of site audits. It was a combination of many factors—including reaching the right person, developing a relationship with him and staying at the top of his mind with email marketing. What Will Reach Your Target Market? Of course we can’t spill all of our secrets. And every campaign deserves its own creative strategy.